If your collectors speak multiple languages, it can be a good idea to have forms display in the mobile app in one language and on the web portal in another. By default, the mobile app will display a form in the same language as the original form. You can toggle back and forth between the web form and mobile form by selecting RESULTS LANGUAGE(WEB) or DISPLAY LANGUAGE(MOBILE) located on top of the Project Builder screen. When you enter content in the Results Language pane, the questions you create will appear in that language on the Results page. 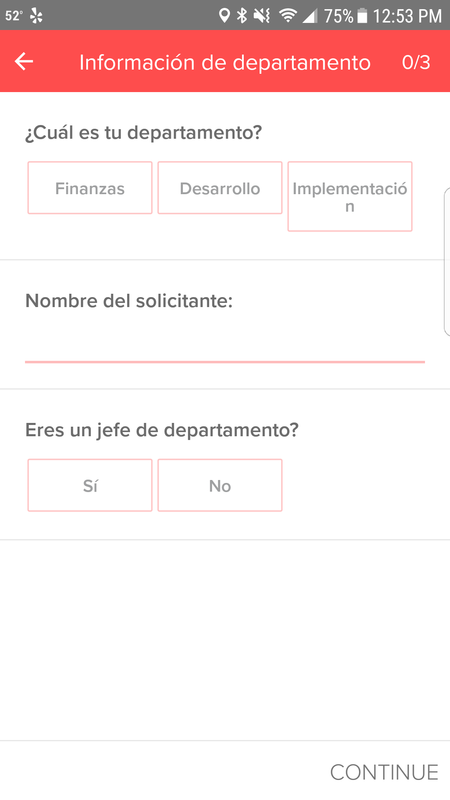 However, if you need to have these questions display on the mobile app in another language, just click on DISPLAY LANGUAGE (MOBILE). On this form, you’ll see that the mobile form currently looks exactly the same as its web counterpart. Let's change that! When we deploy it to the mobile app by selecting Save Form and Push to Mobile, it will appear in the display language. But - because you've only changed the display language - the results questions will still appear in the original language you've set, in case the user processing results doesn't speak the same language as the collectors.